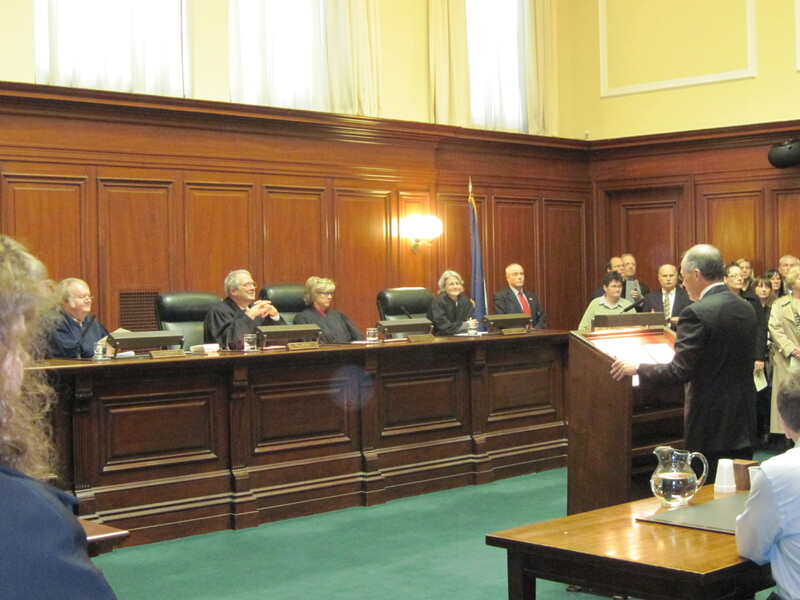 Yesterday, December 7, at approximately 10:20 am, I stood before the five Justices of the Vermont Supreme Court, raised my right hand and took an oath to support, protect and defend the United States and Vermont Constitutions. It was a heady moment for me and the other 50 new attorneys taking that oath. 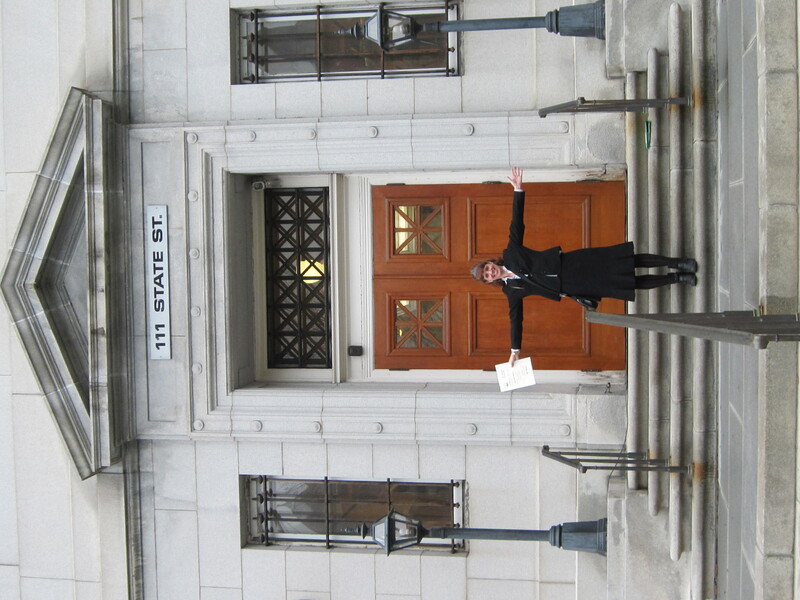 I think it will take a few days for the reality to sink in: after four years of study, apprenticeship and other forms of agony, I now have a license to practice law in the most civilized state in the union! 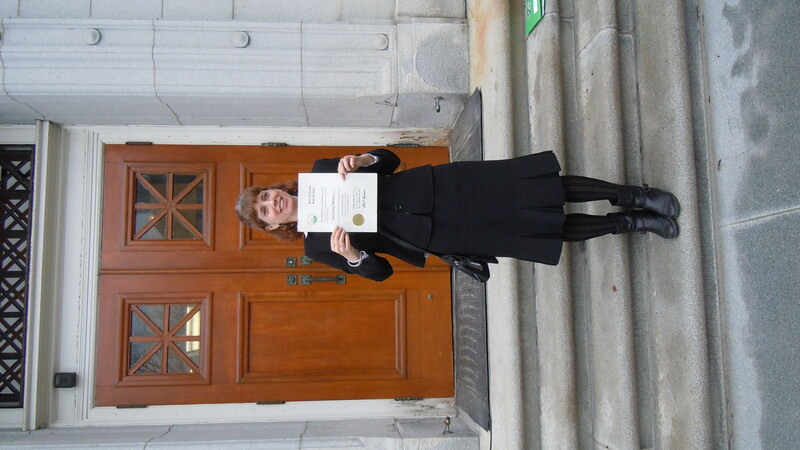 That morning, the would-be attorneys gathered in the basement of the Vermont Supreme Court building to register, receive our licenses and certificates, and get organized. As the time approached, we were asked to line up alphabetically–it was a testament to our nerves, I suspect, that in spite of all our fancy educations, it proved strangely difficult to accomplish that basic task. 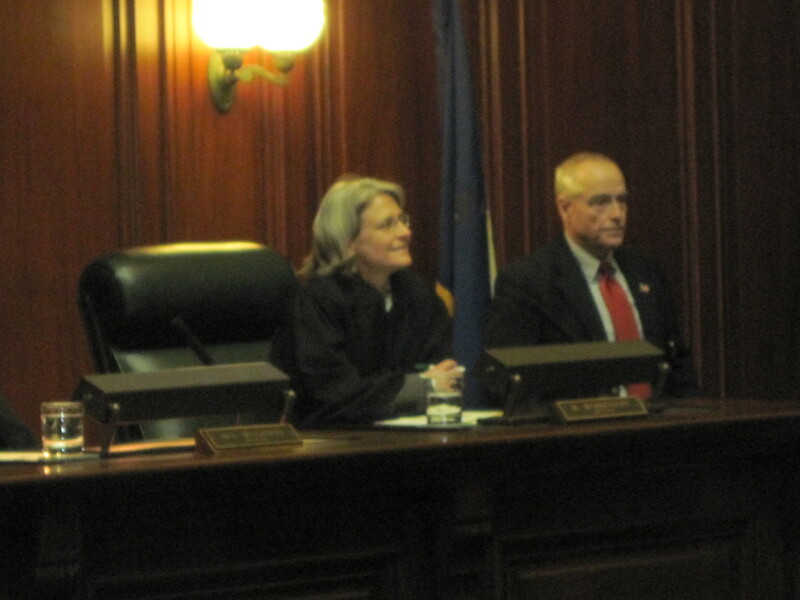 New Justice The Honorable Beth Robinson! 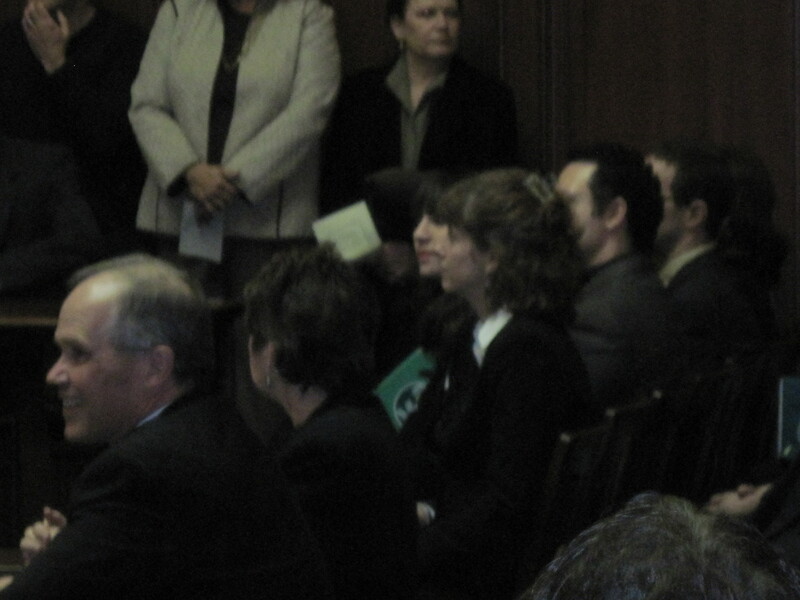 The court room was packed, to standing room only, with the family and friends of those taking the oath. In one corner was Edward, my mom, and friends from my little town of Guildhall. In another corner were a couple of my Act 250 colleagues. Among the crowd in the third corner was the fantastic criminal defense attorney David Williams, my mentor and colleague over the last three years with his wife Karen Andresen. 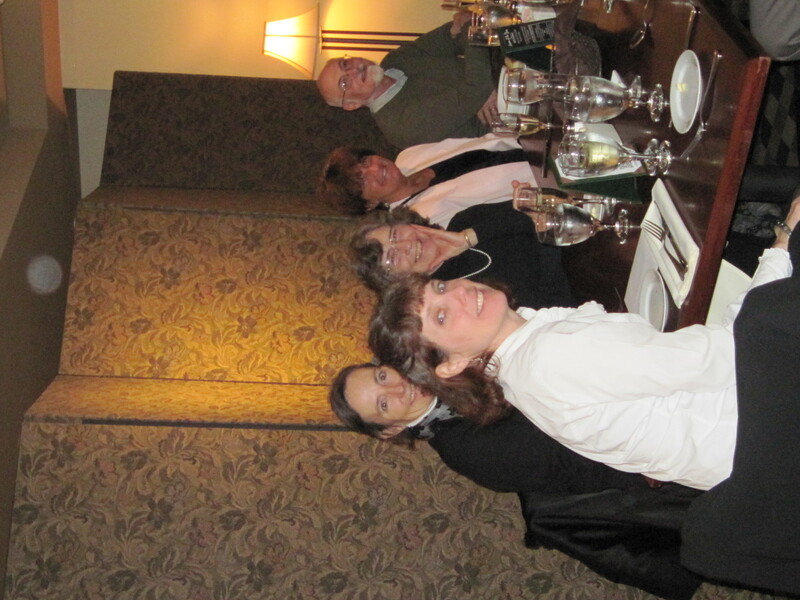 From there, we moved on to a celebratory lunch, with champagne at NECI on Main. I’m grateful for all the friends and family who were there with me today. Congrats Laura! That’s so exciting. Best of luck to you in your legal career! Congrats from a fellow lawyer and blogster! As it happened, I was at Court that morning to argue a case (we won too), and stayed on to watch the admissions ceremony. Thanks! Nice to know you were there (I saw John Pacht there, too). Now–to next steps. 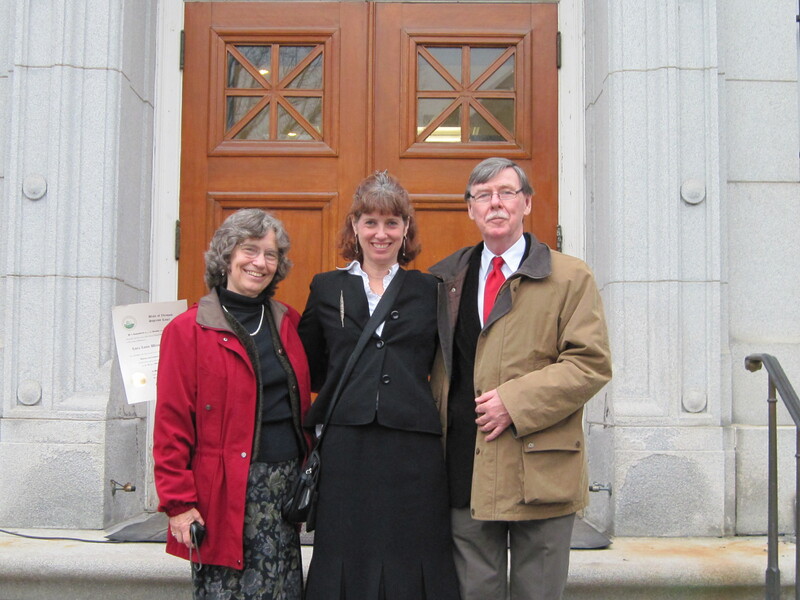 Last week I did the paperwork for admission to federal court and am interested in the CJA panel.